← My visitors came from *where* in August 2011?!?!? 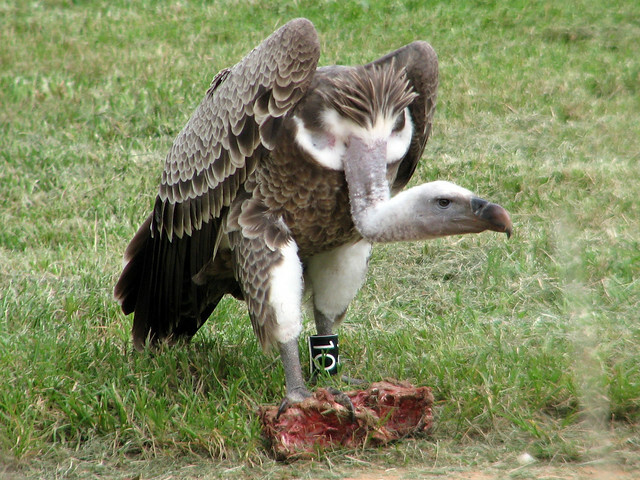 Today is International Vulture Awareness Day (IVAD). Did you celebrate nature’s clean -up crew today? 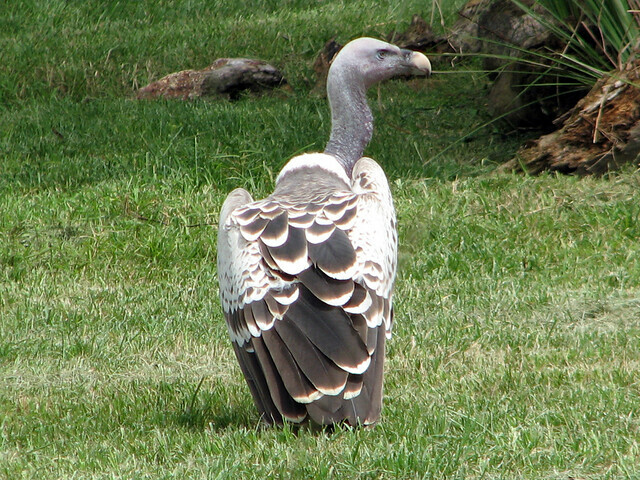 Disney’s Animal Kingdom is celebrating vultures all month! 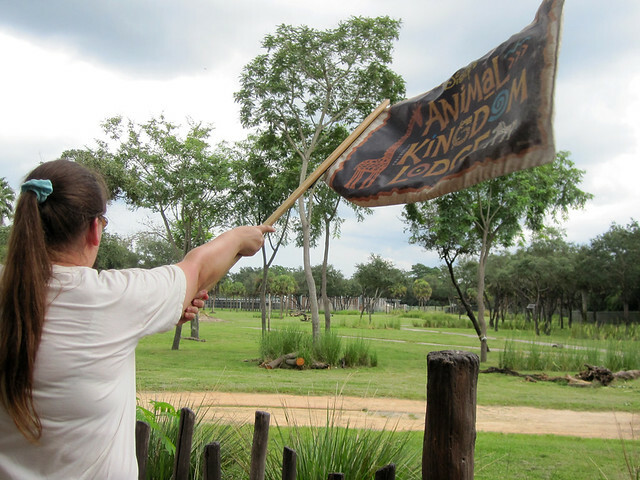 Arthur and I visited Animal Kingdom on Thursday, September 1st, the date highlighted on the Disney Parks Blog as the day the park would be participating in IVAD. We later learned that the celebration would continue through the entire month of September. 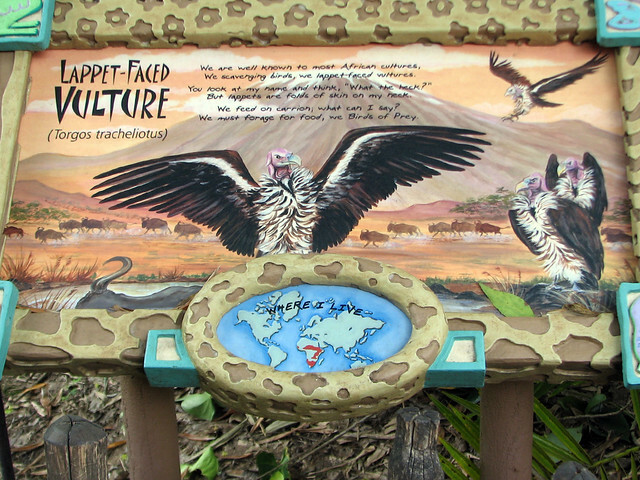 We first visited the Rafiki’s Planet Watch part of the park, where we had a look at the educational vulture posters and materials on display. 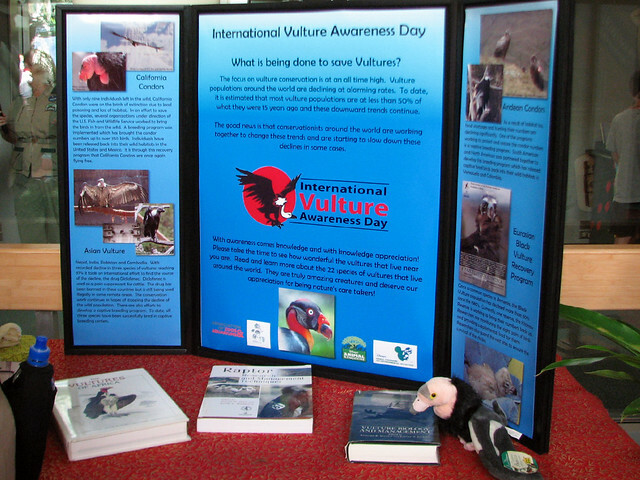 Books about vultures were available for perusing and materials like vulture skulls and feathers were also on display. 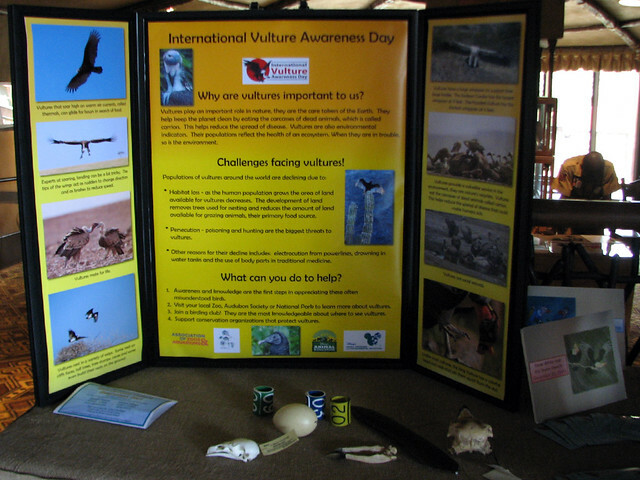 Cast members played vulture fact games with kids and had a great little presentation to show the strength of vulture stomachs which involved small plastic bones and smoking vulture “acid” stomach juices. 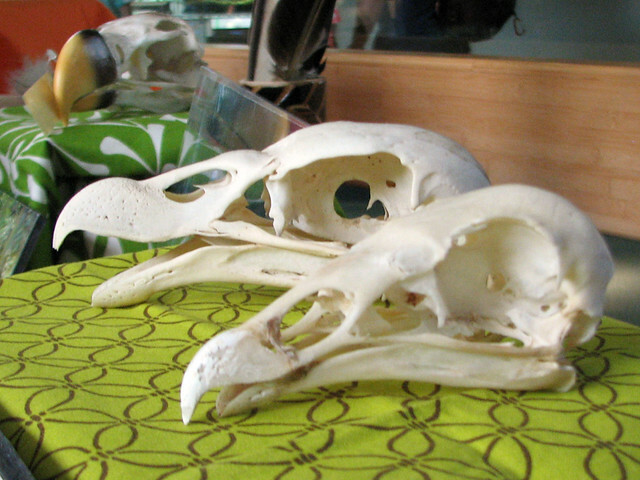 Vulture skulls. 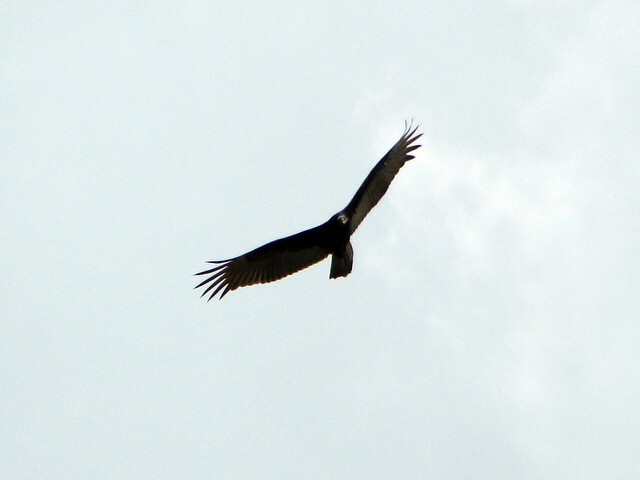 The one with the huge nostrils in the foreground is a Turkey Vulture. 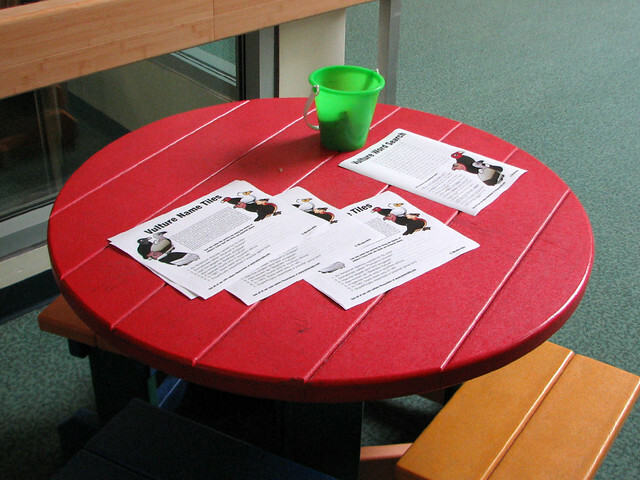 Next we got a big thrill when we checked the activity tables for small kids. Among the coloring pages and vulture masks we found a couple of Birdorable Vulture puzzles!! 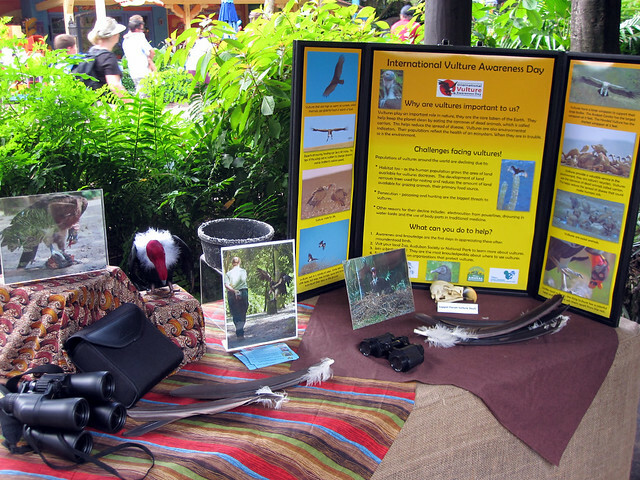 At the Tree of Life area of the park, another information station was set up by the Lappet-faced Vulture exhibit. This included a model vulture nest and a pair of model life-size vulture wings was available for kids (of all ages) to try on. 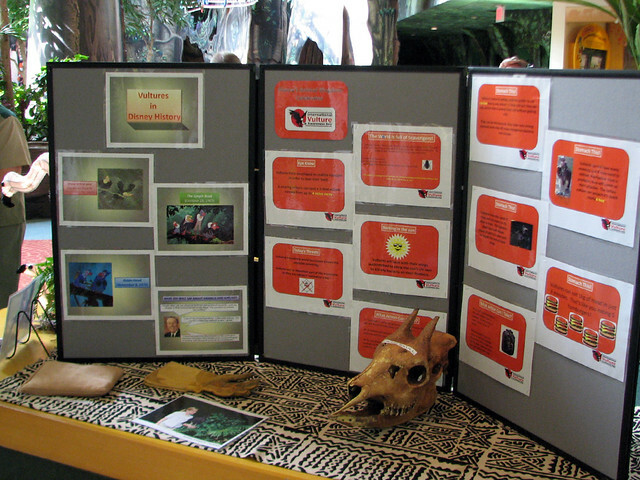 At the Animal Kingdom Lodge, another information booth with more educational materials and a video display was set up and manned by a naturalist. 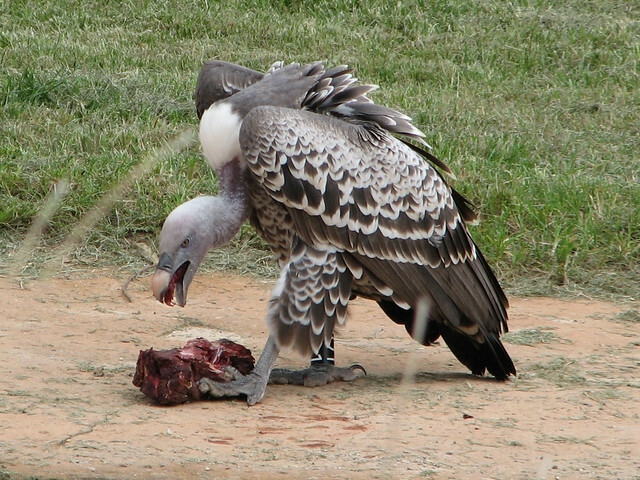 Rüppell’s Vultures reside in one of the lodge’s savannas, and there were two sessions of public viewing of vulture feeding and enrichment. 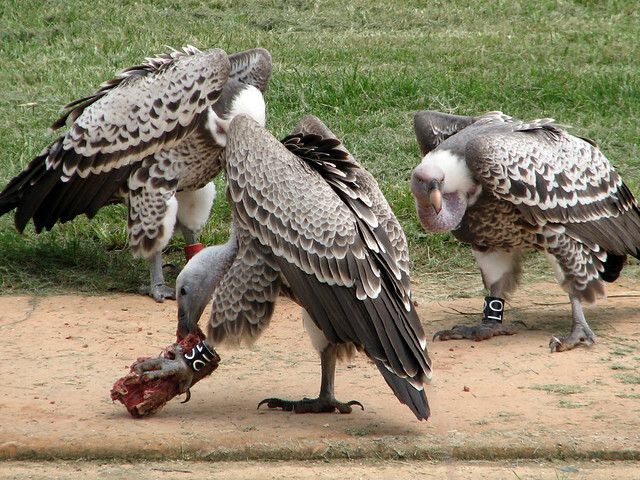 We were treated to a family group of three vultures who came out to munch on some raw bones, a special meal for the birds (who usually eat rats or mice). 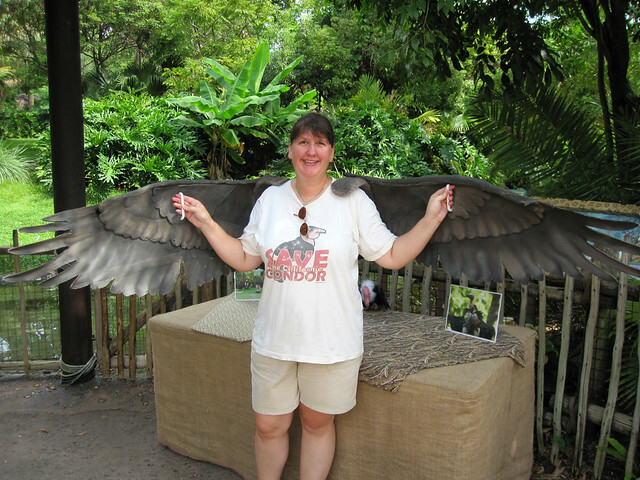 This entry was posted in Disney, Festivals & Events, Zoo. Bookmark the permalink.